New York: As contemporary art hurtles further into its characteristic world of postmodern diffusion – where national categories give way to dissolving borders and trans-regional connections – potent markers of heritage serve as reminders of mooring and place. Imran Qureshi has stated the importance belonging plays in his art and his Moderate Enlightenment series reveals a keen interest in re-pitching a distinctly South Asian artistic vernacular, paying homage to tradition and the importance of history in visual storytelling. The miniature – an art form that has been devoted exclusively to portraiture and the human form – is an encounter with an individual. In its historical use, important imperial or divine figureheads would be richly painted and ornamented with gold leaf, allowing inquisitive eyes a point of access into the court or the heavens. 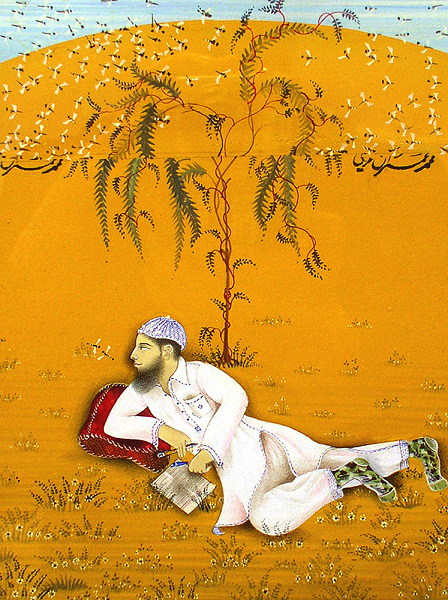 Qureshi paints intimate portraits of religious men and finds a quiet anxiety with contemporary Pakistan therein: seemingly mundane images of men turn into hidden symbols of social unrest. These post-9/11 treatises search to understand how perceptions of zealotry can be influenced by fashion and posture. In his use of the miniature, he highlights the issue as a South Asian one, fixed at once to geography and culture, but also one that is fiercely contemporary. Here, Orientalist fantasies of Pakistan cede to modern concerns and pressing international affairs. Qureshi’s dexterous mastery over the miniature is a testament to his need to find a global voice laden with legacy. In a painstaking process that requires deft use of fine brushes, miniatures must be held close to the artist’s eyes to ensure accurate detailing. The artist’s inestimable skill earned him a place in the Asia Society’s iconic exhibit of contemporary Pakistani art, “Hanging Fire,” in 2009/10. 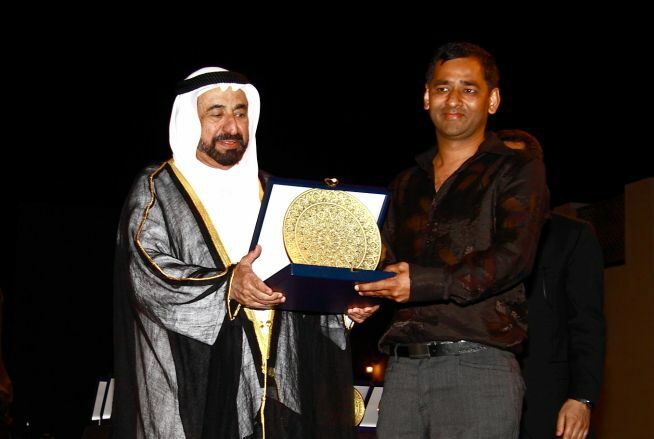 He later went on to win the Sharjah Art Prize in 2011, establishing him as one of Pakistan’s most important stars today. Refusing to be titled reductively as a ‘Miniature Painter,’ he has shown himself to be a versatile artist, his large-scale installation pieces proving him comfortable with media either big or small. An artist to watch and to follow, Qureshi lets us catch glimpses of a Pakistan through visions grounded there but equally aware of the world at large. Sayantan Mukhopadhyay is an Associate at Aicon Gallery, New York’s leading gallery dedicated to South Asian contemporary art. He holds a Bachelor’s degree in Art History and Comparative Literature from Williams College and has spent time with the Indian & Southeast Asian art department at Sotheby’s New York.